Egypt’s main stock market index EGX 30 soared 8 percent in a week, closing on Thursday at 13,099 points. The Egyptian stock exchange and all banks operating in the country will close on April 12th and 13th, for Coptic Christian Easter and Sham El-Nessim, a celebration linked directly to ancient Egypt marking the beginning of spring. Egypt’s stock market rose 1 percent, recorded weekly gains worth 9.3 billion Egyptian pounds ($516.7 billion), closing at 664 billion pounds during the closing session of Thursday. In addition, the mid- and small-cap index, the EGX70 inched higher by 3 percent in a week closing at 587 points during Thursday’s session. 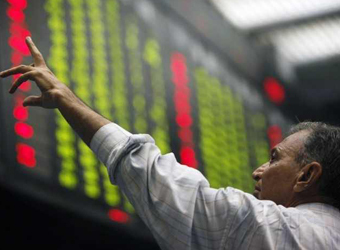 Price index, EGX100 climbed 1.89 percent finishing at 1,353 points during Thursday’s session. During the week, the trading volume hit around 1.371 million securities, compared to 1.201 billion. For the traded value, it reached 7.0 billion pounds against 5.8 billion pounds a week earlier.